When dealing with a major trauma situation, you need to be well prepared. 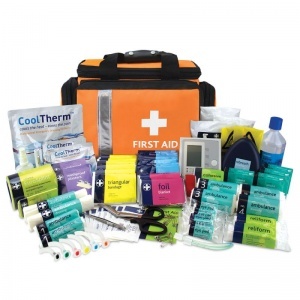 The Major Incident First Aid Kit is offers superb practicality to enable you to provide effective care. In the event of a serious injury, the delivery of pre-hospital medical treatment can be a matter of life or death. Designed for exceptional and rapid treatment to severe casualties, this kit contains top of the line products to treat any calamity. What Is Included in the Major Kit? 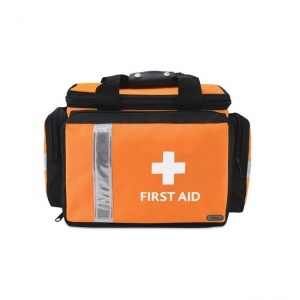 The top quality Pursuit Pro bag is made from tough, water resistant fabric, and includes a multitude of internal pockets for safe storage of the extensive HSE first aid materials. The bag comes with a reflective strip, which is vital when dealing with any roadside incidents. 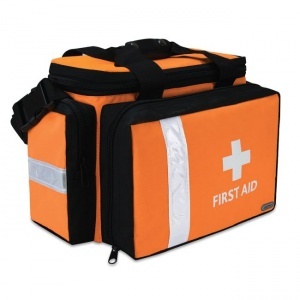 The Major Incident First Aid Kit is usually dispatched via First Class Royal Mail and delivery should be within 1 to 3 working days.